Born and raised in the slums to a mother battling addiction and HIV-related health problems, Esther has come a very long way. Due to her rough start, her manners and language reflected her hard life, and the likelihood of her getting involved drugs, or being assaulted by others under the influence, was very high. Luckily, one of her sponsored siblings forwarded her case to Moja Tu’s president, and Esther was relocated to a children’s home, where she has the opportunity to go to school and have a better shot of living a normal, happy childhood. 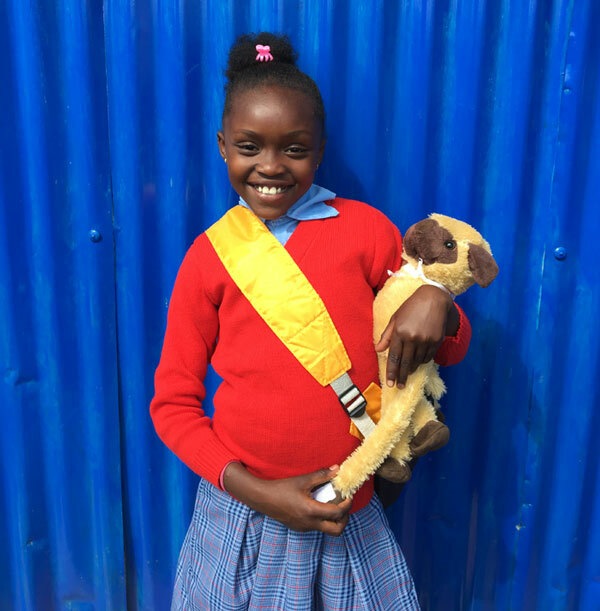 Two years later, Esther is a good student and her attitude has tremendously improved. She has shown a talent in fashion and she is a natural in designing outfits for the other children in her center. She is happy and charming, and the relationships she has built with the other children in her home have helped her develop a likeable and sociable personality. She has a chance to make her future bright. We appreciate any help for Esther. One more future made!